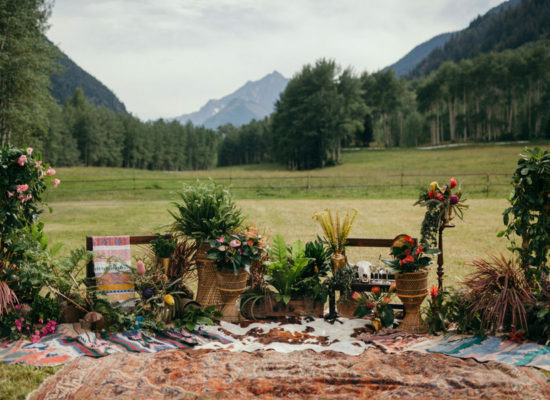 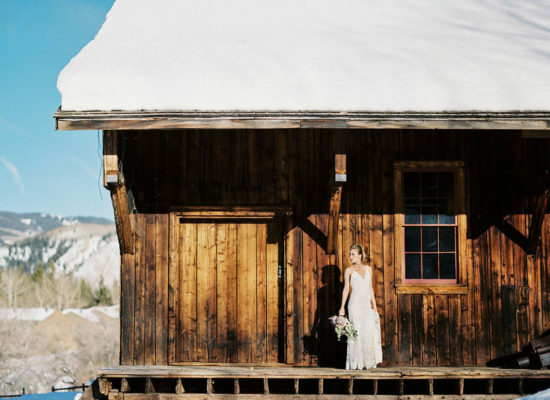 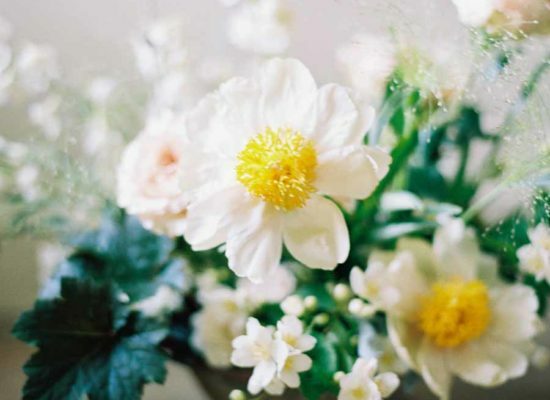 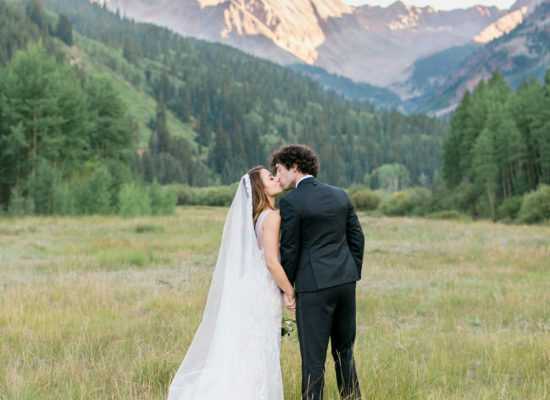 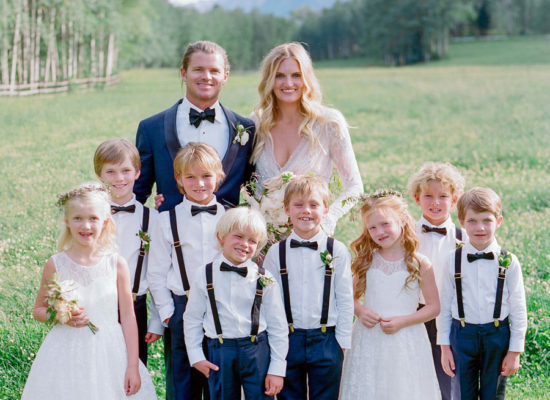 This California couple chose the majestic mountains of Aspen for their wedding day celebration. 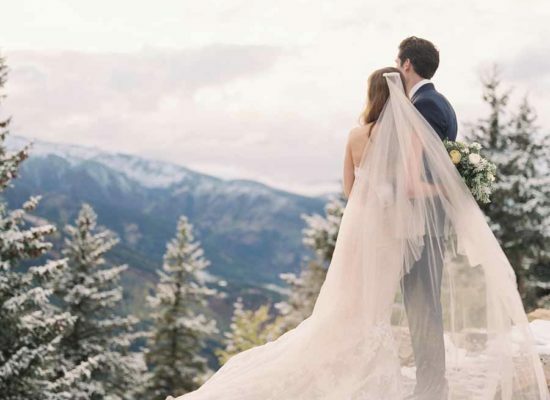 The bride picked an elegant Naeem Khan dress with delicate details and paired it with a lace edged veil. 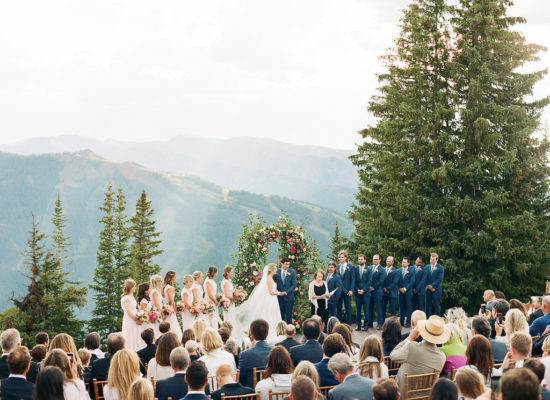 The groom was equally chic in a custom suit from Thom Browne.